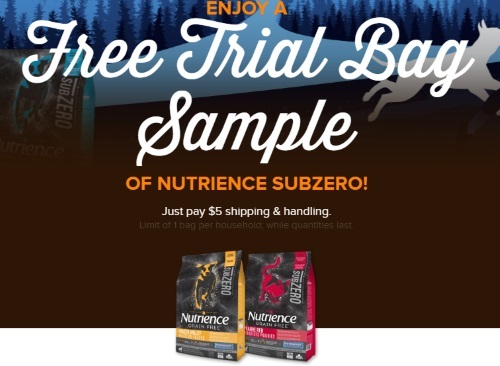 Nutrience SubZero is offering a Free Trial bag for you to try out! For a limited time, get a Free bag of Nutrience SubZero Food for Dogs or Cats plus a coupon for $5 off your next purchase. This product retails for about $32-$38. Just pay $5 shipping and handling. Limit of 1 bag per household. While quantities last.